President Trump has withdrawn the US from the Paris Climate Treaty, yesterday. Without a precise time of ratification for the treaty, there was no clear indication that a major negative event would occur to the treaty (i.e. no obvious transits against planets). 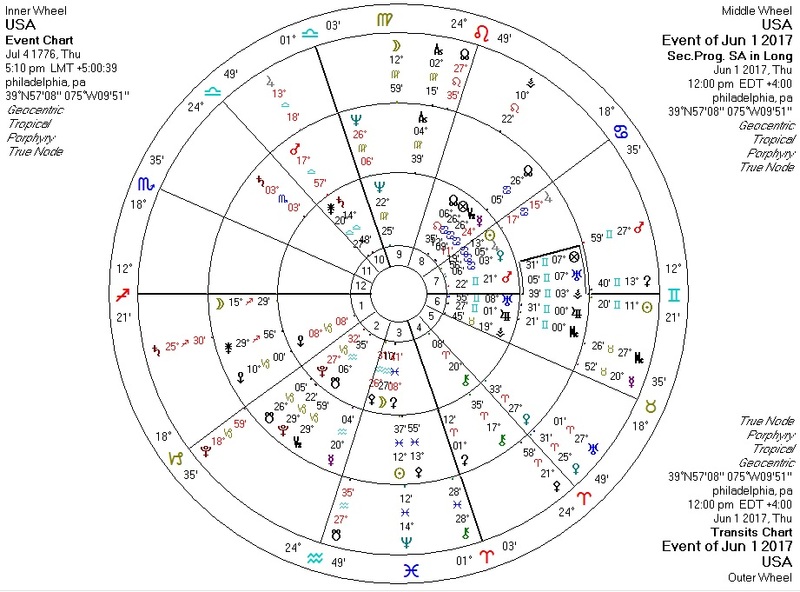 It is probably reasonable to assume that yesterday's transits and progressions against the treaty signing chart would have indicated hard transits against the angles, which are dependent on the exact time of the natal chart. Transiting Sun square US progressed Pallas; transiting Mercury square US Pallas. 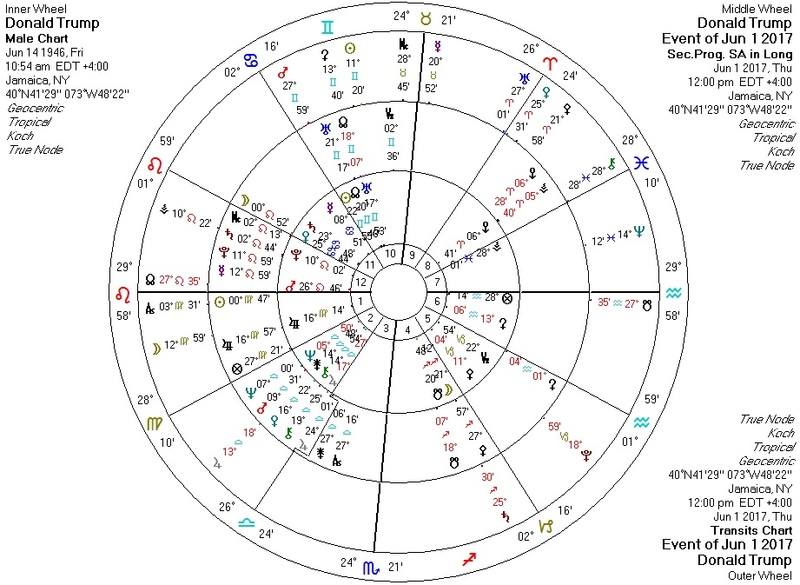 Transiting Sun quincunx Trump Pallas; transiting Pallas sextile Trump Sun; transiting Sun quindecile Trump progressed Pallas; transiting North Node trine Trump progressed Pallas.